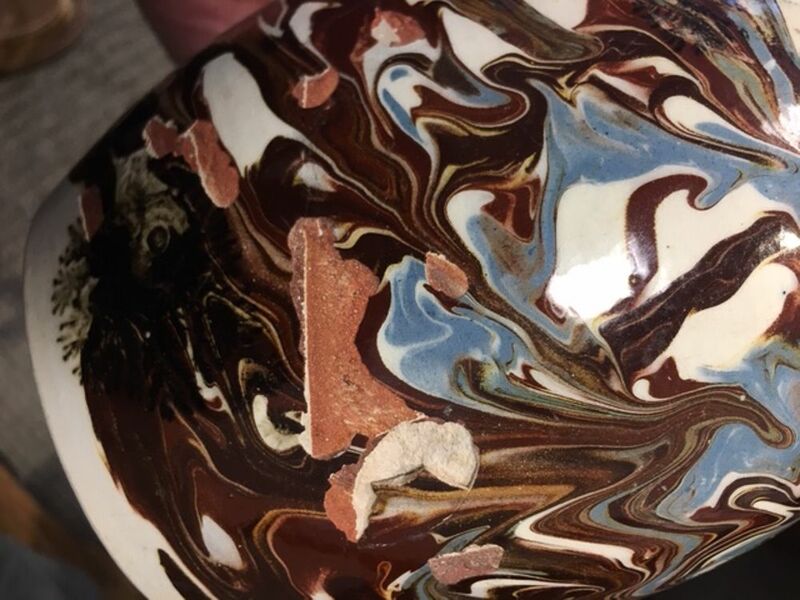 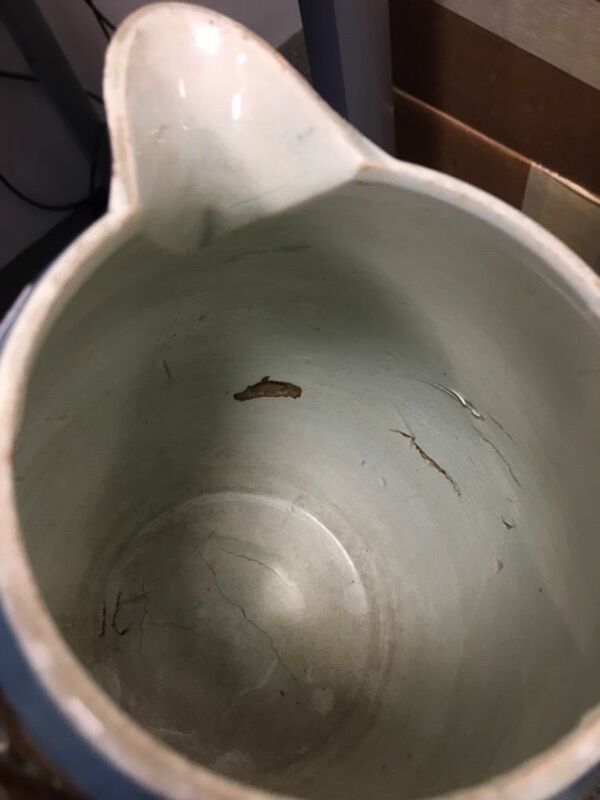 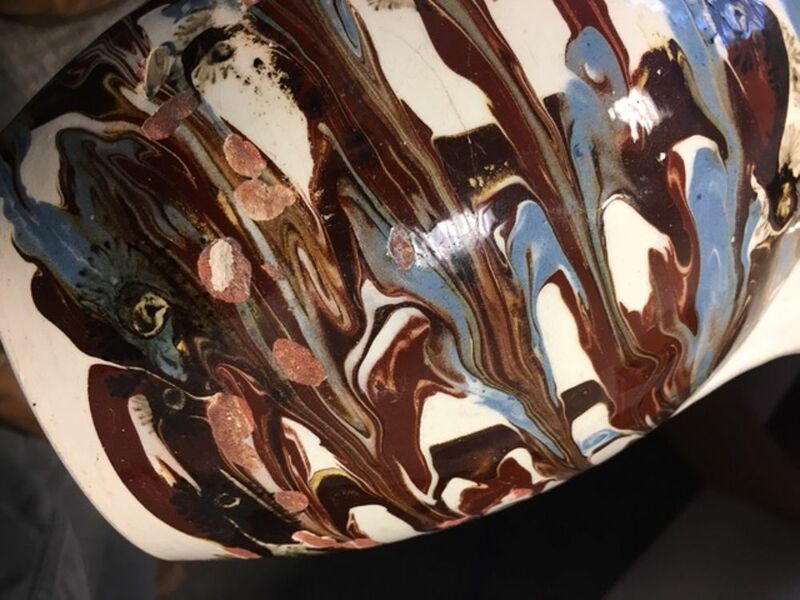 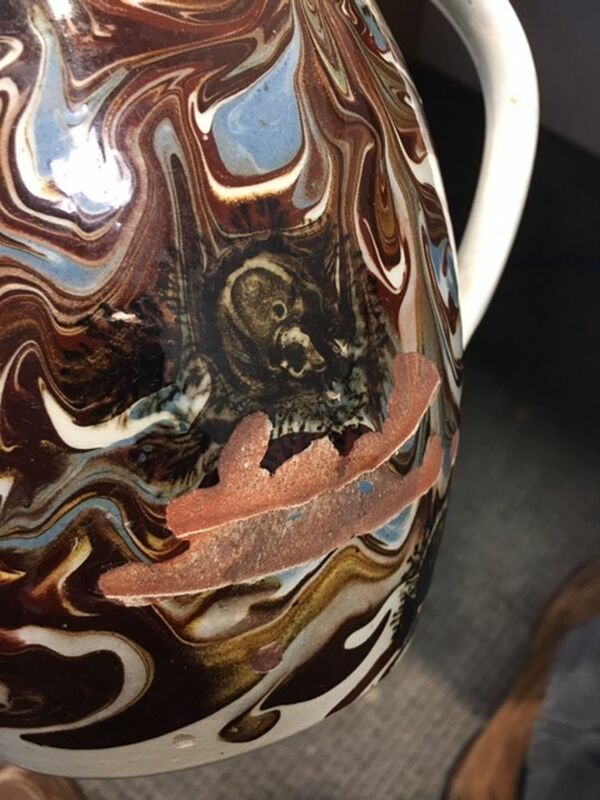 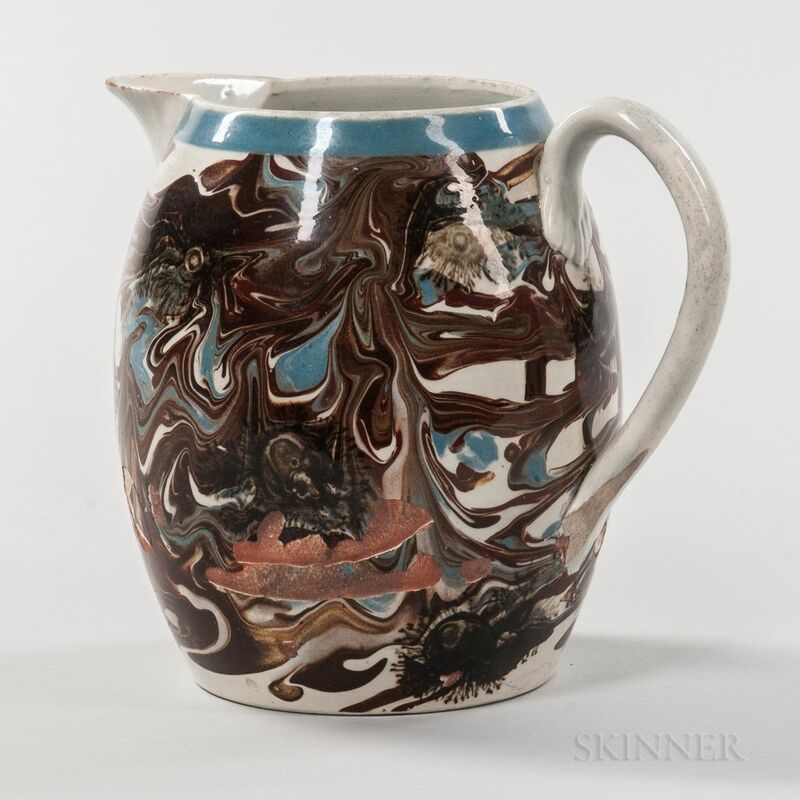 Mocha Slip-banded and Seaweed-decorated Jug, England, c. 1800, the brown, blue, black, and white marbling with regular mocha "seaweed" decoration, all below a blue slip band at the rim, strap handle with foliate terminals, ht. 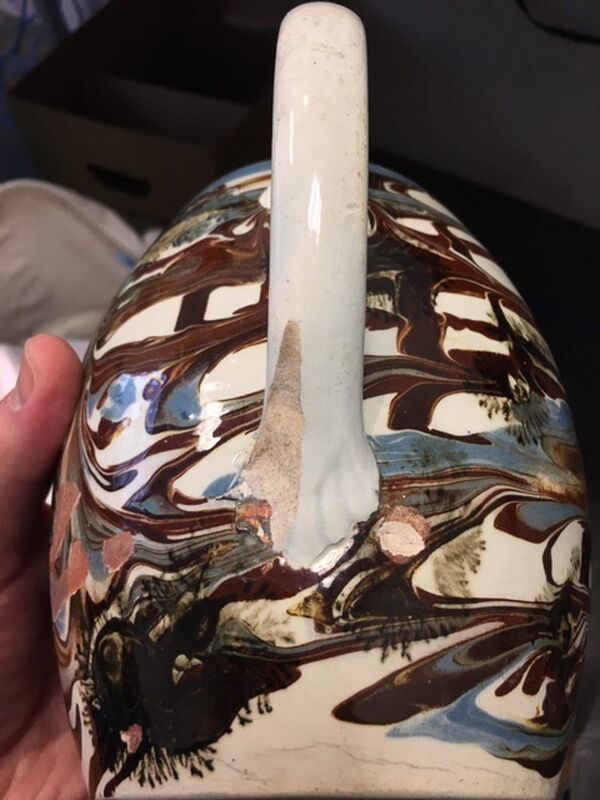 6 1/4 in. 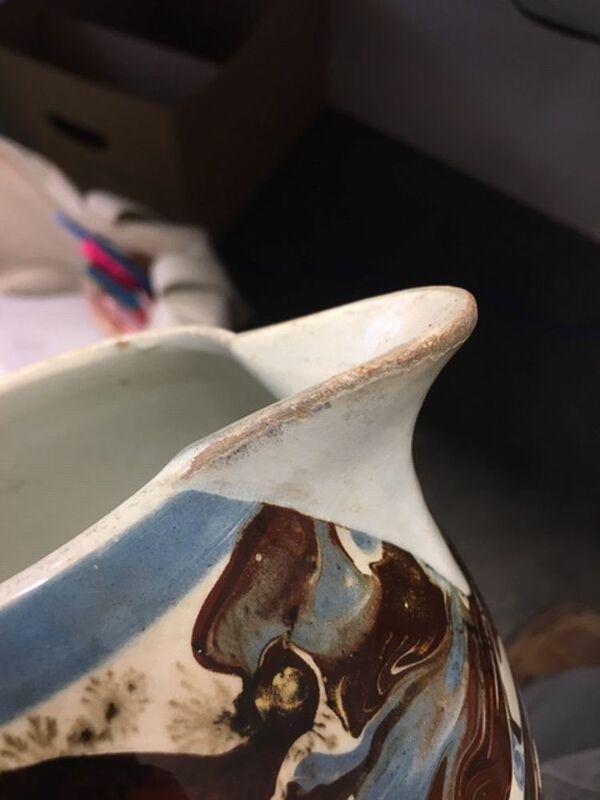 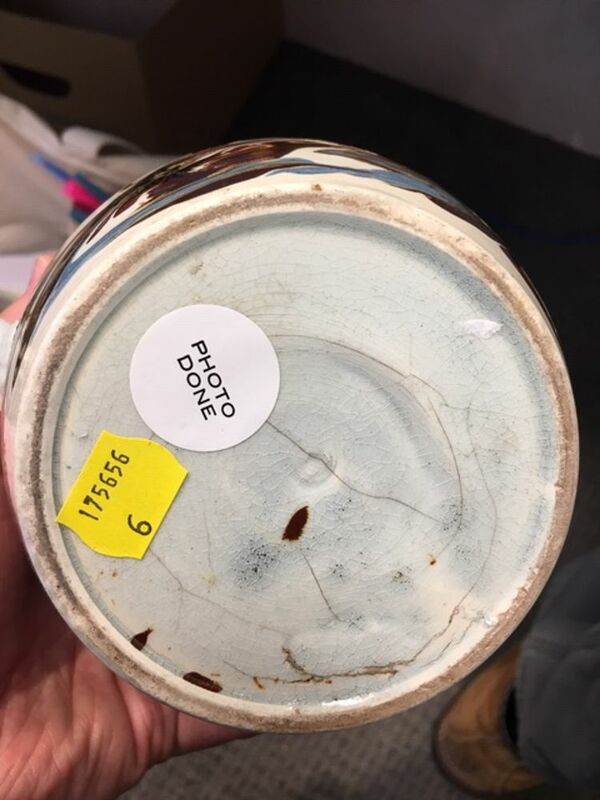 Spots an areas of slip loss on the exterior, chip at the bottom of the handle, shrinkage cracks on the bottom.